The full text of Attorney General William P Barr’s summary is here offered, with emphases on points for further analysis. 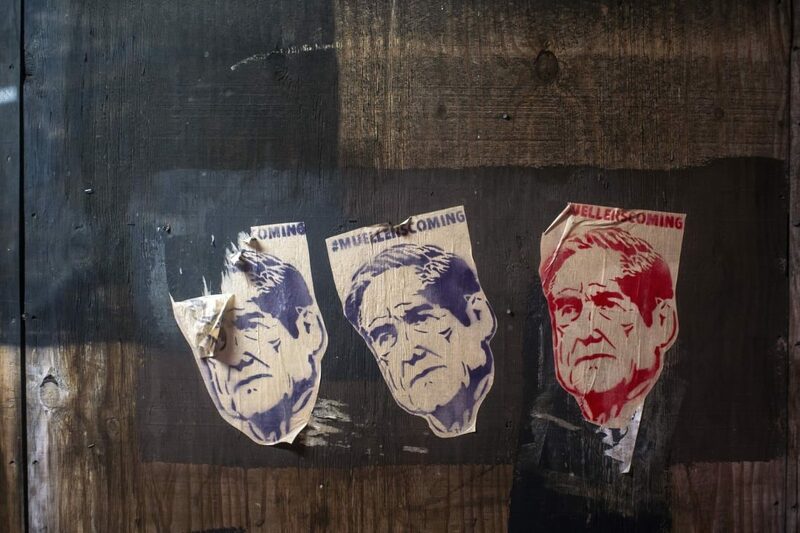 The conclusion of the Russiagate investigation, led by Special Counsel Robert Mueller, was a pivotal media watershed moment. Even at the time of this writing there is a great deal of what might be called “journalistic froth” as opinion makers and analysts jostle to make their takes on this known to the world. Passions are running very high in both the Democrat / anti-Trump camps, where the reactions range from despondency to determined rage to not swallow the gigantic red pill that the “no collusion with Russia” determination offers. In the pro-Trump camp, the mood is deserved relief, but many who support the President are also realists, and they know this conflict is not over. Where the pivot will go and what all this means is something that will unfold, probably relatively quickly, over the next week or two. But we want to offer a starting point here from which to base further analysis. At this time, of course, there are few hard facts other than the fact that Robert Mueller III submitted his report to the US Attorney General, William Barr, who then wrote and released his own report to the public Sunday evening. We reproduce that report here in full, with some emphases added to points that we think will be relevant to forthcoming pieces on this topic. Will President Trump now begin to normalize relations with President Putin at full speed? In what direction will the Democrats pivot to continue their attacks against the President? What does this finding to to the 2020 race? What does this finding do to the credibility of the United States’ leadership establishment, both at home and abroad? What can we learn about our nation and culture from this investigation? What do we do, or what CAN we do to prevent this being repeated? These questions and more will be addressed in forthcoming pieces. But for now, here is the full text of the letter written by Attorney General William Barr concerning the Russia collusion investigation. Based on my discussions with the Special Counsel and my initial review, it is apparent that the report contains material that is or could be subject to Federal Rule of Criminal Procedure which imposes restrictions on the use and disclosure of information relating to “matter[s] occurring before grand jury.” Fed. R. Crim. P. 6(e)(2)(B) Rule 6(e) generally limits disclosure of certain grand jury information in a criminal investigation and prosecution. Id. Disclosure of 6(e) material beyond the strict limits set forth in the rule is a crime in certain circumstances. See, e.g. 18 U.S.C. 401(3). This restriction protects the integrity of grand jury proceedings and ensures that the unique and invaluable investigative powers of a grand jury are used strictly for their intended criminal justice function. Comment: This is a long read, but worth it if you’re interested in a recap of the whole ‘Russiagate’ nothing-burger. It’s also interesting as it’s written by one of the few dissenting ‘mainstream’ journalists, and provides a blow-by-blow account of how the ‘intelligentsia’ in the US – and their counterparts aping them in other Western countries – collectively broke from reality when they boarded the ‘Trump-Russia’ train set in motion by the Deep State. From the initial lie told by ‘Gods of the intelligence community’ The author’s prognosis for their profession – and their credibility – is dire. Comment: Because they were all conspiring in a Big Lie together. Buzzfeed’s decision exploded traditional journalistic standards against knowingly publishing material whose veracity you doubt. Although a few media ethicists wondered at it, this seemed not to bother the rank-and-file in the business. Buzzfeed chief Ben Smith is still proud of his decisiontoday. I think this was because many reporters believed the report was true. Early on, I was so amazed by the sheer quantity of Russia “bombshells” being walked back, I started to keep a list. It’s well above 50 stories now. As has been noted by Glenn Greenwald of the Intercept, and others, if the mistakes were random, you’d expect them in both directions, but Russiagate errors uniformly go the same way. Bloomberg reported Mueller subpoenaed Trump’s Deutsche Bank accounts; the subpoenas turned out to be of other individuals’ records. Fortunesaid C-SPAN was hacked after Russia Today programming briefly interrupted coverage of a Maxine Waters floor address. The New York Timesalso ran the story, and it’s still up, despite C-SPAN insisting its own “internal routing error” likely caused the feed to appear in place of its own broadcast. Comment: Not any more. ‘Privately-owned’ mainstream media is now an arm of government, or CorpGov. Hence its fluency is bureaucratic newspeak. If authorities can share reasons for concern with foreign countries like Israel, why should American voters not be so entitled? Moreover, given the idea that we need to keep things secret to protect sources and methods and “tradecraft” (half the press corps became expert in goofy spy language over the last few years, using terms like “SIGINT” like they’ve known them their whole lives), why are we leaking news of our ability to hear Russian officials cheering Trump’s win? Comment: Because they’re all ideologically-possessed and there’s no saving them. Comment: It’s been forensically-proven that the DNC server wasn’t hacked: someone on the inside saved those emails directly to a USB. Comment: Westerners are now experiencing what it was like to live under totalitarian regimes of old. The main newspapers in the USSR were called Pravda and Izvestia, meaning “the truth” and “the news” respectively. It became common knowledge to most living under that regime that “there’s no truth in Pravda and no news in Izvestia“. ← When Will US and EU Lift Punitive Sanctions Against Syria?